The one thing that always gets us through is food. When revision is getting us down, we eat. When we are stressed, we eat. When we are bored, we eat. Food solves everything. Are you in need of a coffee fix, sweet treat or some good old comfort food. The UK has so many cute places to help you with your cravings. This is one of my favourite places, You can basically have whatever you want on a waffle. You can even get chilli con carne or hummus and avocado on your waffles. It may sound wrong, but they are surprisingly nice – I promise! It’s a little gem and worth the journey! An entirely vegan, cruelty-free cafe, situated in Hebden Bridge. It is super cute, and very pink, great for those insta-worthy pictures and the food is incredible, you won’t believe its all vegan – especially the pancakes! One of my favourite spots in Halifax, if you haven’t been yet, you need to! They do amazing freakshakes loaded with all kinds of sweet treats and hot chocolates as well as, pizza and pasta dishes, which are so yummy! Le Chalet is a great place for afternoon tea. Their weekday offers are enough to tempt anyone. Go on a Monday for half price cakes and free macaroons with every hot drink on Wednesday’s. The aesthetics will make you think you are in the middle of France and not in dull Leeds. Cakes, cakes and more cakes. When the cupcake craving is calling, the Love Rouge Bakery is the place to go. Could this place be any cuter? This Tea Barge is totally Instagram worthy with its great views, amazing decor and the best afternoon tea. Its super quirky! The pinkest, cutest cafe you will ever see, situated 5 minutes away from Sloane Square station. Its very small inside but they also have outside seating or the option to takeaway. You will see many people just coming to take photos outside the stunning cafe but the cakes are just as pretty as the building. Make sure to get down early to avoid the queues. 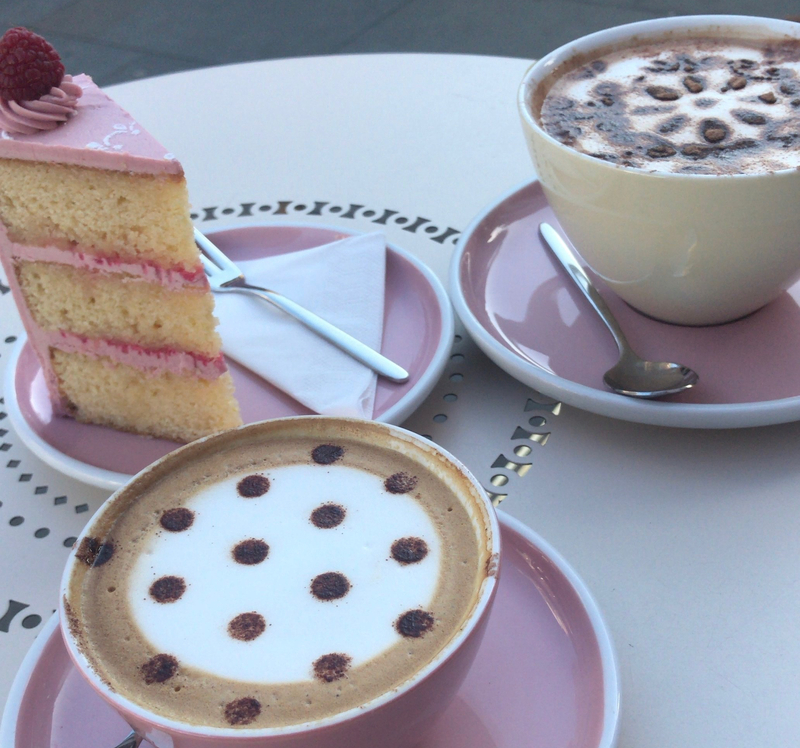 Similar to Peggy Porschen this cafe is super pink and super floral, perfect for them girl weekend catch ups! Serving delicious sweet treats and coffees all day long! This is a classic place for Nottingham students to go, and perfect for someone with a sweet tooth! Go try their amazing sweet treats and milkshakes! Where are your favourite places in the UK to procrastin-eat? Let me know in the comments below!